This is one of the many NAHASDA-funded projects on Hawaiian home lands. 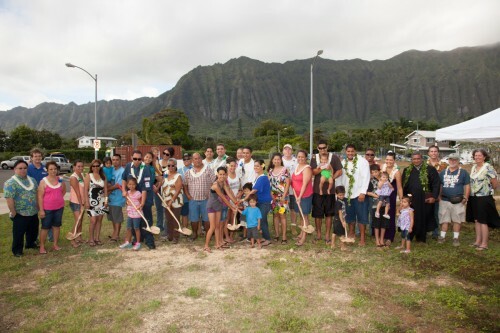 In this photo, six Waimānalo Hawaiian homestead ‘ohana broke ground on self-help homes they built in partnership with Habitat for Humanity using NAHASDA funds. Federal funds supporting affordable housing for Native Hawaiians should continue to flow, according to a vote today by the U.S. House of Representatives on a bill reauthorizing the Native American Housing Assistance and Self-Determination Act or NAHASDA. With a vote of 297 yeas and 98 nays, the House passed H.R. 360, the Native American Housing Assistance and Self-Determination Act of 2015. Both U.S. Rep. Tulsi Gabbard and Mark Takai co-sponsored the bill that was introduced by U.S. Rep. Steve Pearce of New Mexico, the chief sponsor of the bill. The next step for reauthorization will be the passage of the Senate bill and the reconciliation of any conflicting language. The Department of Hawaiian Home Lands is the sole recipient of NAHASDA funds in the state of Hawaiʻi, receiving over $100 million since 2002 to fund affordable housing opportunities for low-income Hawaiian Homes beneficiaries. 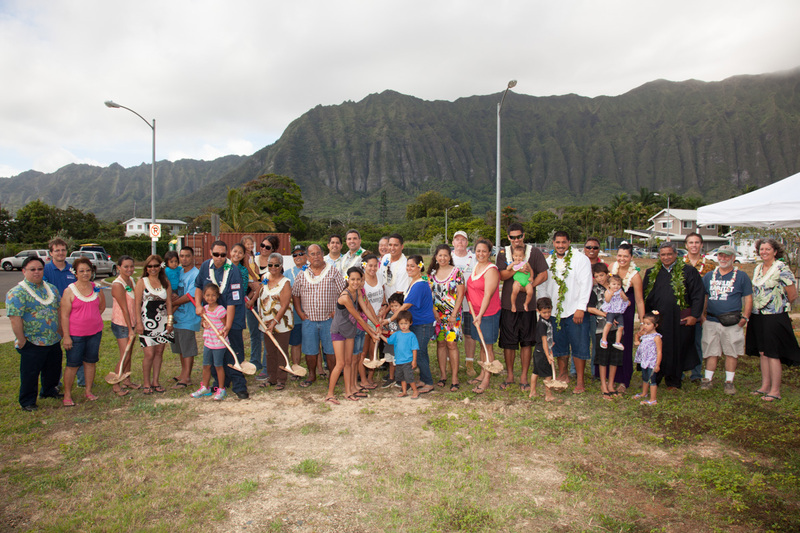 Over 1,500 native Hawaiian families have since utilized NAHASDA funding to finance housing-related activities such as home construction activities, home repair and replacement, down payment assistance, self-help home construction, and financial counseling. Passed by Congress in 1996, NAHASDA set-up a block grant program that gave American Indians and Alaska Natives the ability to determine how best to spend federal funds to address affordable housing issues. In 2000, the Act was amended to include Native Hawaiians. 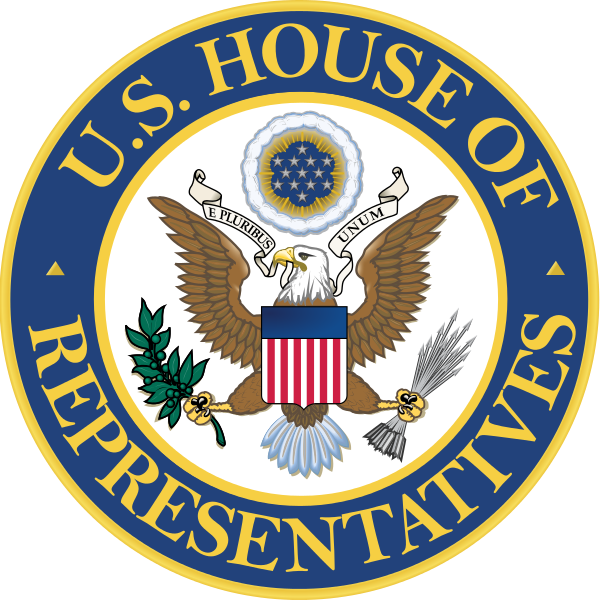 WASHINGTON, DC- March 23, 2015 – With a vote of 297 yeas and 98 nays, the House of Representatives passed H.R. 360, the Native American Housing Assistance and Self Determination Reauthorization Act of 2015 this evening. Sponsored by Rep. Steve Pearce (R-NM), the legislation was cosponsored by a bi-partisan group of Members including Representatives Tom Cole (R-OK), Don Young (R-AK), Gwen Moore (D-WI), Denny Heck (D-WA), Dan Kildee (D-MI), Derek Kilmer (D-WA), Tulsi Gabbard (D-HI), Mark Takai (D-HI), Markwayne Mullin (R-OK) Mark Amodei (R-NV), Ryan Zinke (R-MT), David Schweikert (R-AZ), Betty McCollum (D-MN), Jared Huffman (D-CA), Richard M. Nolan (R-MN) and Frank Lucas (R-OK). This legislation will reauthorize the Native American Housing Assistance and Self-Determination Act of 1996 (NAHASDA), a law that consolidated federal housing programs for Native Americans and created a block grant to provide formula funding directly to tribes. The last reauthorization of NAHASDA occurred in 2008. NAHASDA empowers Native communities by enabling them to create their own innovative housing assistance programs in ways that best serve their members. Native Americans face some of the worst housing and economic conditions in the country. Developed and championed by tribal leaders and Indian housing professionals, H.R. 360 will expedite required federal approvals, authorize tribes to blend housing construction money with sanitation facilities funding, launch a demonstration program for alternative privatization authority for Native housing, and carry out other much-needed reforms. NAIHC thanks all of our members, tribal representatives and tribal housing professionals who contacted their congressional delegations in support of this bill. The next step for Reauthorization will be the passage of the Senate bill and the reconciliation of any conflicting language. The National American Indian Housing Council, NAIHC was founded in 1974 as a 501(c)(3) corporation. NAIHC is the only national organization representing housing interests of Native people who reside in Indian communities, Alaska Native Villages, and on Native Hawaiian Home Lands.